1. Very sentimental. Loves an occasional cry from sentimental movies and love songs. 2. Fond of … no … obsessed with books. Bring me to any Bookstore or Library; I can stay for hours and hours. I love BookSale! 3. Prefers sunrise over sunset. Rainbows enthrall me! 4. Excited to find the occasion to be able to run and play in the rain – the way I used to when I was little. 6. Reads before sleeping – at least 4 pages from each book in my bedside (and I normally have 3 to 4 books at one time). 7. Prefers reading over watching television. 8. Sings a lot, silently. No longer confident to sing aloud. 11. Passionate about teaching and human resource development. 12. Loves giving Nessie a bath. 13. Studies better with soft background music. 14. Can do without desserts. 15. Finds comfort in holding hands. 16. Takes a bath minimum of three times a day. Showers before going to bed, regardless of the time. 17. Likes to walk in the beach barefoot (as long as it’s clean). 18. Believes that the eyes are the windows to the soul. That the eyes do not lie. 19. No make-up. Just pressed powder, eye shadow, sparkling eye liners, and lip gloss. 20. Idea of relaxation – a foot massage and a hot shower. 21. A minimalist: Big bag, jeans, a simple blouse, flat shoes – these comprises the perfect outfit for me. Pearl earrings, a watch, a simple bracelet … no necklace. Prefers short hair but misses my long hair. 22. Fondness with Victoria’s Secret Scents. 24. Prior to teaching, I was a full time home maker and Mom. If I were not a teacher/college instructor, I would have been a lawyer, a journalist, an author, a script writer, an HR Manager, a public servant, or a police woman. Except for the police woman profession, and with more or less 15 more productive years before retirement, God willing, I am not closing doors to these my other dreams. Hopefully, law school is next after my doctorate degree in education. Not that I dream to enter any court of law when I finish. Let’s say it’s more on conquering fear … conquering me. I gave up Law years ago because I feared my professor. As to being an author, a journalist, a scriptwriter, an HR Manager, and a public servant, these are all just around the next corner… anytime of the day, I can be all these! An author I already am. As a matter of fact, I just need a publisher for my 3 manuscripts. 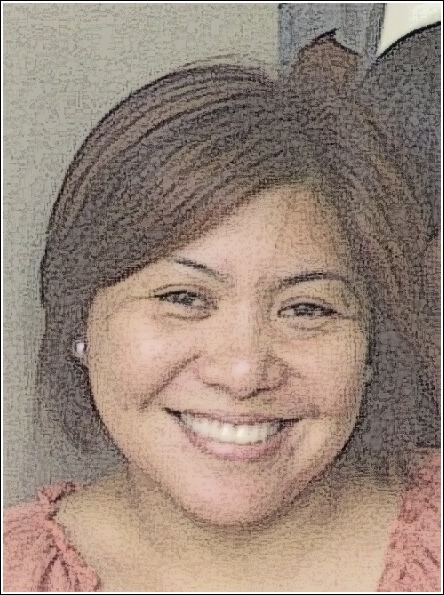 I am now into HR … On Public Service – as a Consultant in an LGU, I already consider myself one. In my involvement in community service, working as a link between donors and recipients, it’s as good as done!